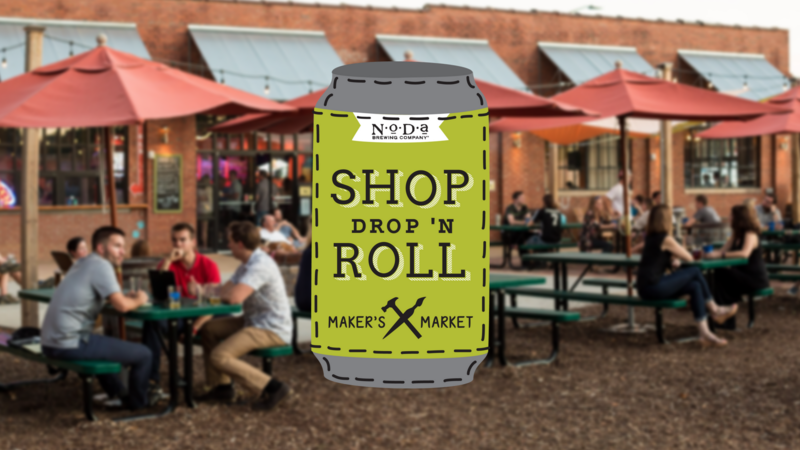 We couldn’t be more excited to announce the launch of our brand new maker’s market, Shop Drop ‘N Roll. This seasonal market will be full of fun and focused on all things CRAFT! While you sip on tasty craft brews, you’ll be able to peruse incredible hand-crafted goods. In partnership with Crowned Sparrow Co., we’ll be hosting the best artisans our city, and surrounding area, has to offer! Be sure to join us for our extra-special kick-off market from 12-6 pm on Sunday, June 10. Not only will we have goodies and giveaways, but we’ll also be donating a portion of proceeds to Stand for Animals Veterinary Clinic (formerly Spay Neuter Charlotte). Be sure to mark down the dates for our other markets this year, and stay tuned to find out the charity partner for each market. In 2019, you can expect to see market dates in every quarter throughout the year! P.S. Interested in being one of our vendors at the market? Apply here! Sign up for NoDa emails and be NoDafied of new posts, events, and beer releases.